My workout the entire week has been at the house. Sanding and sealing woodwork, washing windows, moving day with all the hauling of boxes, moving furniture, loading and unloading trucks. I drop into bed exhausted each night. I love it when I get to do a job where you really see a big difference like washing windows, or a couple of days ago, sealing woodwork. I'm using a wipe-on polyurethane. I gave it a light sanding with very fine paper first. The woodwork looked so dried out, and the poly makes such a difference! 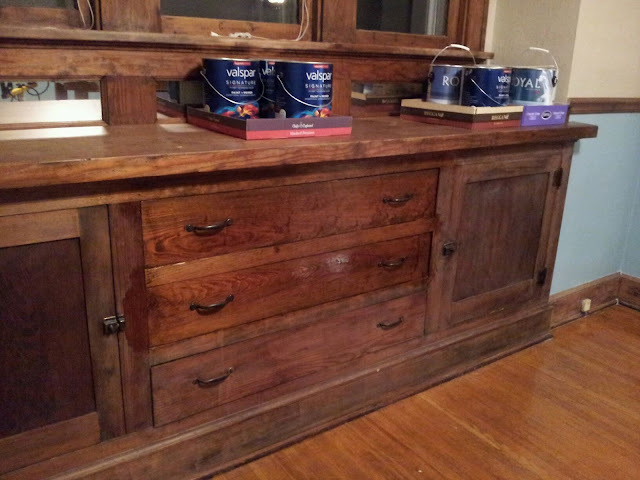 Here I've done the top of the buffet and the top two drawers. 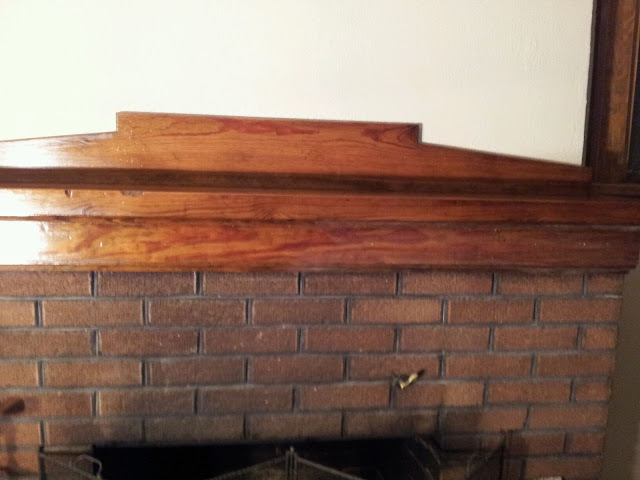 The mantle is done except the bottom board only had poly wiped on half way across.